Around the middle of August many infection chains transitioned to RIG with more geo-focused bankers and less CryptXXX (CryptMic) Ransomware. This is a key feature for load seller. It is making their day to day work with traffic provider far easier . It allows Exploit Kit operator to attach multiple payloads to a unique thread. The drop will be conditioned by Geo (and/or OS settings) of the victim. Obviously you can achieve the same result with any other exploit kit…but things are a little more difficult. You have to create one Exploit Kit thread per payload, use an external TDS (like Keitaro/Sutra/BlackHat TDS/SimpleTDS/BossTDS, etc…) and from that TDS, point the traffic to the correct Exploit Kit thread (or, if you buy traffic, tell your traffic provider where to send traffic for each targeted country). Around 2016-09-12 a variation of RIG (which i flag as RIG-v in my systems) appeared. Picture 7: CVE-2016-0189 from RIG-v after 3 step de-obfuscation pass. This explains a lot. Here are some of my last Neutrino pass for past month. Day after day, each of them transitioned to RIG or “RIG-v”. Around the 22nd of September 2016 the Neutrino advert and banner disappeared from underground. Are we witnessing the end of Neutrino Exploit Kit ? To some degree. In fact it looks more like Neutrino is going in full “Private” mode “a la” Magnitude. Several weeks ago, Trendmicro (Thanks!!) made me aware of a malvertising chain they spotted in Korea and Taiwan involving Neutrino. 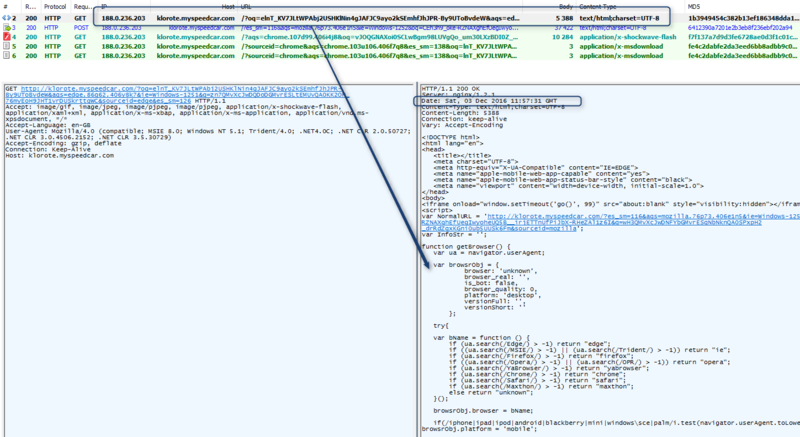 The actor behind this chain is the same as the one featured in the Malwarebytes Neutrino EK: more Flash trickery post. 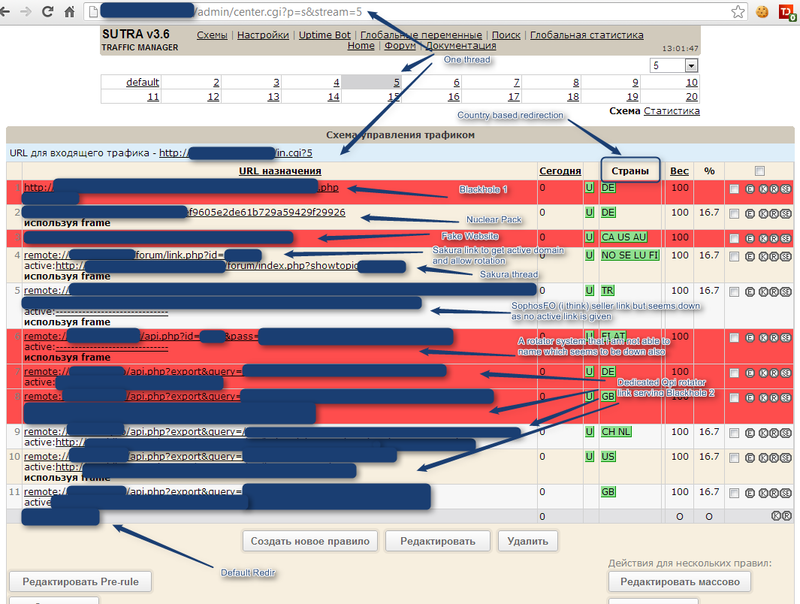 Coincidentally a new Exploit Kit is being talked about underground : Empire Pack. Private, not advertised. It seems Empire Pack project was thought upon Angler EK disappearance and launched around the 14th of August 2016. I think this launch could be related to the first wave of switch to RIG that occurred around that time. I think, Empire Pack is a RIG instance managed by a Reseller/Load Seller with strong underground connections. But Empire Pack might be api3, remote_api, or a bit of both of them. Thanks Malc0de, Joseph C Chen (Trendmicro), Will Metcalf ( EmergingThreat/Proofpoint) for their inputs and help on multiple aspect of this post. Removed limitation to KOR and TWN for Neutrino-v use by NeutrAds as Trendmicro informed me they are now seeing them in other Geos. RIG standard is now also using the pattern introduces past week by RIG-v. It's now in version 4. RIG-v has increased filtering on IP ranges and added a pre-landing to filter out non IE traffic.